Ever since its first appearance the Monster has been an undisputed Italian-made icon, a symbol of Ducati’s unique history and the embodiment of a winning ‘less is more’ philosophy. Its seductive, essential lines represent an extraordinary balance between sports performance, sheer riding pleasure and awesome design. 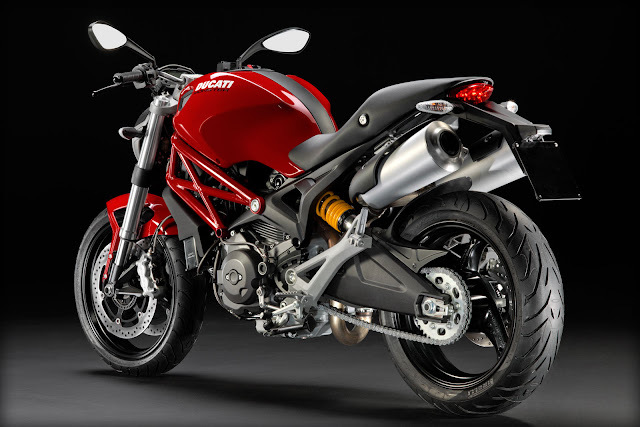 The Monster 795 is the definitive naked sports bike and a lifestyle icon of unmatched brilliance. Low-cost ownership and Ducati aren’t exactly synonymous with each other. However, with the Monster 795, Ducati enters a market that’s been waiting for an affordable Ducati. And preliminary indications are promising, not to mention fun. In essence, the 795 combines the 796’s boisterous motor with the 696’s more conventional (and consequently cheaper) chassis. So, while your eyes are drawn in by the trademark red bodywork and chassis, and the muscular proportions, you’re also slightly disappointed by the less exotic looking wheels and handlebar controls. However, if you can turn a blind eye to these niggles, everything else is exotically Ducati. That classic Monster silhouette is as fetching today as the day it was launched in the 90s and most importantly, the 795 remains every inch a Ducati to ride - fun and involving. Swing a leg over the saddle and the tiny proportions and aggressive riding position seem spot on. It’s a 167kg package powered by an 803cc 90-degree V-twin putting out 87bhp and 78Nm - wholesome numbers , these. However, it’s the attitude with which numbers are delivered to the tarmac that makes a Monster and the 795 is no exception. Throttle response is crisp and power delivery is typical of a Ducati V-twin - immediate and torquey. The 795 gets to silly speeds in a manner that evokes wide grins rather than white knuckles, and that’s a good thing considering the beginner markets it’s aimed at. Handling is excellent, and this Monster devours corners with a light and flickable demeanour. The brakes, like the tyres, are willing partners in crime for the chassis to terrorise the twisties. Price-wise, we wish Ducati would make permanent the introductory Rs 5.99 lakh price tag only for the first 300 motorcycles sold in India. Doubtless, it’s going nowhere but up once the 300 are spoken for. Ducatis have always commanded a premium in whatever segment they occupy, though applying that rationale to the 795 might not be the right thing to do. 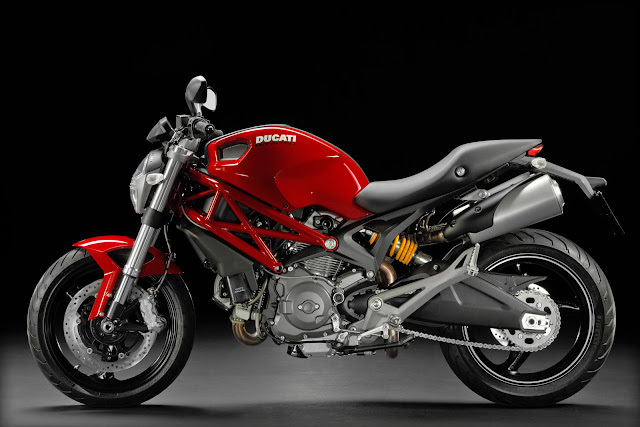 Especially when the Monster 795 is such a well-rounded package and will be, for many, the first Ducati. If only aspirational value could be made more affordable.This Road Test has done by BBC Topgear.